In this talk, I try to make sense of our current techno-cultural moment in which reality is disappearing and reappearing in confusing ways. I point out two major developments relevant here. First, as capitalism expanded, it has created a system of communication that cannot, and does not want to, deal with meaning. And, second, as the complexity of the socio-techno-biological connections of society increases, the old ways of organizing knowledge have become increasingly unable to provide an accurate understanding of the world we are living in. In their place, a new type of knowledge regime is emerging that produces its own form of meaninglessness. I use the analysis of the crisis of meaning as a starting point to also think about some of the "counter-measures" that might be appropriate to overcome this crisis. Anyway, here's the talk which I gave as part of the "New Alphabet: Opening Days" event (10-13.01, 2019) at HKW in Berlin. Following this was a great presentation by Kate Crawford and Trevor Paglen on how machines are trained to "see" and how this creates what they call "predator vision". 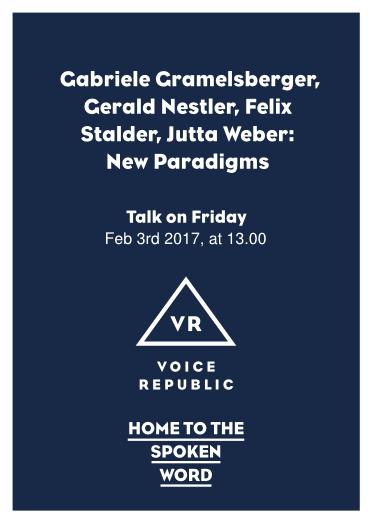 You can see their talk (starting at 00:33:00) and the discussion (starting at 01:05:00) on HKW's Facebook page. 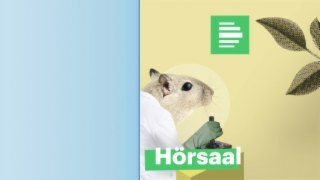 Neue App, neue Smartwatch, neuer Sprachassistent - manche von uns begeistern sich für jede technische Entwicklung. Aber dann gibt es auch die anderen, die Veränderungen sehr skeptisch gegenüberstehen. This is my talk at the Unboxing: Algorithms, Data and Democracy. It starts in German but the talk itself is in Englisch. If you prefer to read, here is the manuscript of the talk. Initially, I wrote this talk in German, but decided in the last minute to give it in English. However, I hate to translate my own texts. So the English you hear now is 85% machine translation and 15% corrections by me. Perhaps you can tell which is which. The accent is 100% me. Or should I say, Canadian English filtered through Swiss German? It's hard to draw boundaries, these days. Anyway, let me start with three assumptions. First, we need algorithms as part of an infrastructure that allows social complexity and dynamics to meet our real challenges. Second, many of the algorithms are made poorly. I think, in particular, of those that shape day-to-day social practices, algorithms that do what sociologists call "social sorting" (David Lyon) or "automatic discrimination" (Oscar H. Gandy). However, this will be the third point, these issues of poor design are only part of the problem because there is no autonomous technology, even if it is called "intelligent" or "self-learning". When I talk about algorithms, I do not mean isolated computer code, but socio-technical systems and institutional processes that automate parts of decision-making. This lecture is from October 2014, held at the Public Library Conference in Stuttgart. But it has only recently been put online, together with all other lectures.. I think the entire conference is still very relevant. In this lecture, I try to untangle the differences between resources that are managed as "public" and are thus connected to notions of the state and citizens and those that are managed as "free" and are thus based on notions of the commons and community. The differences are subtle, but in their consequences far reaching.